Health Qigong Branch is founded 2013 and its official name is "Finnish Wushu Federation Health Qigong Branch - 芬兰武术联合会健身气功分会". 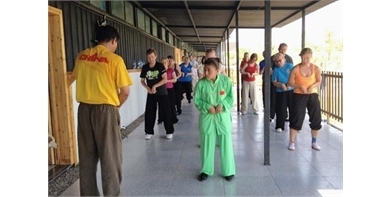 Already from the year 2008 Finnish Wushu Federation member associations have been training Health Qigong Ba Duan Jin. 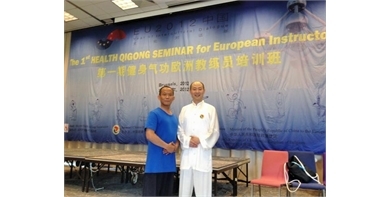 At 21.8.-26.8.2012 Federation main instructor, Shīfu Zhāng Fàng 张放, participated The 1st health Qigong workshop for European instructors in Belgium, Brussels. 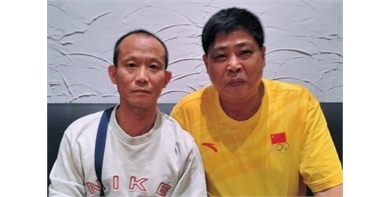 There the Health Qigong routines Da Wu, Yi Jin Jing and Ma Wang Dui Dao Yin Shu were established and since that practiced in Federation member Associations in Finland. In June 2013 (16.-30.6.) Finnish Wushu Federation was invited by professor Shi Ai Qiao and Wuhan Sports University to practice Health Qigong in Wuhan, China. There were 30 persons visiting from Finnish Wushu Federation member clubs and the main focus was in learning Health Qigong Wu Qin Xi. Also other routines got detailed instruction from the professor Shí Ài Qiáo 石爱桥 and teachers Léi Bīn 雷斌 and Fàn Xué Fēng 范学峰 . 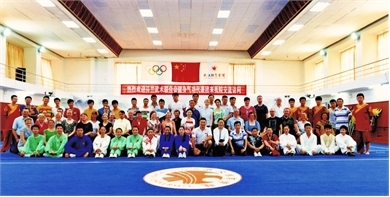 Baduanjin, Yi Jin Jing, Ma Wang Dui Dao Yin Shu, Da Wu and Wu Qin Xi. The Federation instructors are actively participitating international seminars to learn more and brush up their skills.